Samsung isn't finished with announcements for 2014, launching a new variant of the Galaxy Note 4 before CES kicks off in a few weeks. While most aspects of the Note 4 remain the same, the SoC has received a decent upgrade to Qualcomm's latest flagship, the Snapdragon 810. Unlike the Snapdragon 805 that currently powers the Note 4, the 810 is a 64-bit chip that uses ARM's Cortex-A53 and Cortex-A57 CPU cores (four of each) in a big.LITTLE configuration alongside an Adreno 430 GPU. It's the first SoC from Qualcomm to be produced on a 20nm manufacturing node as well, theoretically improving efficiency. The 810 brings with it support for Category 9 LTE via an updated integrated modem. The latest version of the LTE Advanced specification supports 3x20 MHz carrier aggregation which allows downstream bandwidth of 450 Mbps. 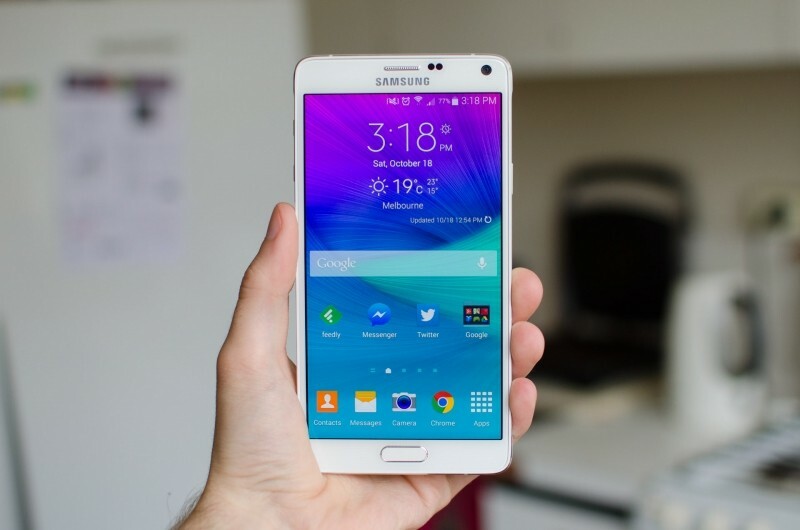 This improves on the 2x20 MHz Category 6 LTE we saw in the Snapdragon 805 Note 4, which supports speeds up to 300 Mbps. Samsung's has launched the new Galaxy Note 4 model in Korea, though as Cat.9 LTE-A deployments (and even Cat.6) are limited, it's unlikely the model will be available in other nations any time soon. Alongside the launch of the Note 4, word is that the high-end Galaxy Alpha has been discontinued in favor of the similar, cheaper Galaxy A5. Despite launching just a few months ago, the Alpha hasn't been a huge success, suffering from battery life issues and hardware worse than other flagships. With Samsung shuffling around their smartphone division, the Alpha has made way for a revamped mid-range section.